Andrew Balbirnie believes there is better to come from Ireland after he hits a magnificent unbeaten 145 in a four-wicket win over Afghanistan on Tuesday. 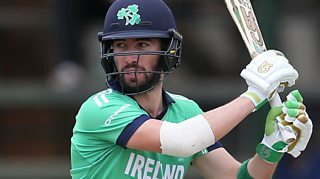 Balbirnie put on a decisive 143-run partnership with George Dockrell (54) as Ireland reached 260-6 in 49 overs in reply to Afghanistan's 256-8. The sides are tied at 1-1 going into Friday's fourth ODI in India.